Ahhh bed bugs, horrible aren't they...makes me itchy just thinking about them, and yet they are about and having them is not a reflection on cleanliness or how well sanitised your home is, once they are in, they’re in! 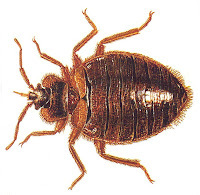 You may have heard in the press a few months ago about a case surrounding two ladies who stayed at a hotel in London and suffered with mass beg bug bites during the night, meaning they had to go to hospital due to the swelling and itching caused from the bites. A horrible experience, and it turns out they weren't alone. The hotel in question has had several such cases with previous customers. Something that would put you off going back until they can confirm the infestation has been dealt with and they are clear of the problem. The issue with such an infestation is that it's very difficult to get rid of them. You may be exposed to them elsewhere and bring them home with you, to your own beds, and they breed at such an extraordinary rate you will soon experience the unpleasant problems in your own home. They are a notoriously complex problem to deal with and experience is essential to get rid of them in a safe, efficient and rapid way. Everywhere in the world is experiencing an increase in bed bug infestation currently, so should you have come across such an issue, chances are you won’t be the only one. You will find that places with a high turnover of visitors tend to be the most affected like hotels, motels, B&B's, Hostels, dormitories and prisons to name a few. According to research, bed bugs tend to be picked up mainly through travelling. Large infestations are found on aircraft, ships, trains, buses and offices and they normally travel with you on your clothing, cases etc. Travelling with you to your next destination. A common misconception is that bedbugs are a result of unclean surroundings like a guest room that hasn’t been serviced properly but you’ll find cases in hotels everywhere, from 1 to 5 stars and even those with the highest scores for their cleanliness. They thrive on movement and activity, so in a busy hotel that regularly has guests checking in and out it’s very likely that they will eventually be subjected to this sort of infestation. We had a case at our sister hotel in Canterbury some time ago. The BEST WESTERN Abbots Barton Hotel has always had very high scores for cleanliness and our housekeeping manager there is a very competent lady that has been with us for many years now. She treats the place with a lot of pride as if it were her home. When she found out about the bugs she was devastated and almost in tears thinking that she had failed on cleanliness in some way. Whilst it had nothing to do with her or her team, I think that the reaction was testament to just how seriously she takes her role. Luckily the hotel caught it pretty early on and called in their pest control company who used a pesticide bomb in the infected guest room, closing it off for days to ensure that nobody went in. Without movement the bugs couldn’t spread or live so they were soon in the clear again, albeit at the expense of having the room out of order for a number of nights at a very busy hotel. Rentokil reported the number of bedbug call outs had gone up by 24% in December last year. There is even a sniffer dog that has been trained to find the critters and hotels in Britain have been using him! So what are the tell-tale signs? Look out for blood spots/smears on bed sheets and in the seams of furniture and upholstery. How do you avoid them? 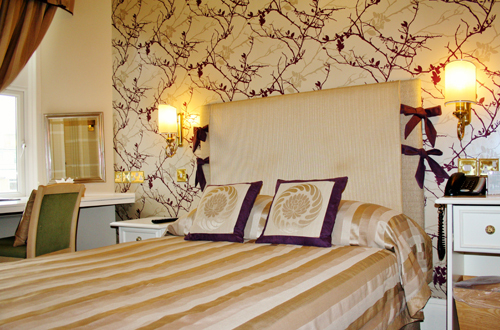 Don't allow clutter to build up where you sleep and don't take in second hand beds or mattresses. Wash bedding in a hot wash, bedbugs can't survive these. What if I have them? Call a pest control service straight away! Don't fear though, they may well bite, you might suffer with itching but they cannot pass disease.